A few weeks back I said i would write my own story of how I joined the swing dance community. I got some fun responses, it is only fair I pay back the favor. Back in high school I was curious about learning how to dance some form of partnered dancing. A girl from my French class at the time named Katherine shared my same curiosity, unfortunately the one dance studio I contacted for us to take lessons from never returned my call. After that experience I thought my future of knowing how to dance was over and I went onto other things until a few years later when one fateful coincidence happened. A few years later at Janurary 2008, I had just transferred to the main campus at The Pennsylvania State University, or more commonly known as Penn State. Joining in during the Spring semester, it felt a bit odd because everyone had their set schedules and activities/clubs to be involved with. So for the first week or two I just hung out with my roommates who were coincidentally from the same branch campus that I was from and focused on my school work. One day I was invited by a mutual friend of my roommates and I to an “International Beer Pong Tournament” on the night January 26th at a renown party apartment complex at Penn State called “The Graduate”. Most guys stories of how they got into swing dancing usually begin with, “Well there was this cute girl..”. Mine begins with, “Well there was this keg and a beer pong tournament”. Anyways I show up this party with a friend ready to represent team Japan in this tournament and I am expecting typical drunken shannagins for Saturday night at Penn State. The tournament went great and everybody was having fun socializing and enjoying their beverages, however then something unusual happened, for one song instead of the usual top 40s music that is constantly blasted over pop stations on the radio, jazz music was played… and people started dancing to it. First Fact: One of the roommates (who I later found out his nickname was Orange) of my friend who invited me to this party was a member of the Penn State Swing Dance club, so that is why so many PSU Swing Dance members were in attendance. Second Fact: The Penn State Swing Dance at the time was a drinking club with a swing dance problem. Anyways, after witnessing this spectacle I asked around about what they were doing and they guided me to the club president at the time that was currently sprawled out drunk on the couch. In spite of his condition he assured me that I didn’t need any previous experience, I didn’t need to bring a partner, lessons from the club were free and yes no matter how uncoordinated I was they would be able to help me. After finding out their meeting times from the website I convinced my roommates Ben and his girlfriend Jessamyn to come to a lesson with me, because for some reason I felt it would go over better if I had some friends in tow. After some brief introductions my friends and I get sorted into the beginners lesson. I thought the lesson wasn’t going too horrible until half way during the lesson I realized I was rock=stepping with the wrong foot the entire time. I was slightly frustrated as well because this six count stuff they were teaching me was different then cool stuff I saw them doing at the party. Anyways after the lesson and general announcements my two friends and I like most new dancers hugged the back wall and talked among ourselves. After a song or two Ben and his girlfriend attempted to dance and earned some concerned looks/giggles when he dropped her on the ground during a dip. I guess the embarrassing situation was too traumatic for them because they didn’t want to come back next time. While I didn’t social dance at all that night (a trend that would continue for awhile) I showed up for the lesson next Thursday. Even though I really didn’t feel that involved with the community at the time, I guess I stuck with it because it gave me something to do on Tuesday & Thursday nights and it was interesting to slowly learn how to partner dance. I would show up, take the lesson, then the second general announcements were over sneak out to catch the bus back home. Anyways, this all changed when one of the follows managed to stop me before I could sneak off and said that she noticed I was attending the lessons consistently but told me to stay and social dance or all the stuff I was learning wouldn’t stick. Even though social dancing was awkward and terrifying for me at first, I listened to her and slowly started staying for the social dancing portion after the lessons. I slowly got to meet the regulars in the club at the time and got involved in all the popular post and pre-swing dance activities they liked to do, which often involved; watching movies, themed parties, and drinking. It was fun being part of a small tight knit community that shared a similar interest and I was slowly getting to the point that social dance wasn’t horribly awkward but went somewhat okay. During this time I also finally got to learn the cool stuff they were doing at the party (Lindy Hop) and a dance from my hometown area (Balboa) thanks to a PHD graduate student there named Issac. One of the things I always heard mentioned but never took seriously at swing dance club was the importance of travel. It seemed like something the good dancers in the club did and not necessary for me a lowly newbie. However a bunch of members from our club were going to this event named the Oberlin Jazz Dance Festival and it featured Andy Reid and Nina Gilkenson, two instructors they had a borderline obsession with. After some peer pressure I finally committed to traveling outside my little dance bubble and going to a place I never heard of 4 hours away called Oberlin, Ohio. I later found out that there were five instructors in total, the other three were; Bobby White, Kate Hedin, and Todd Yannacone. Over Saturday and Sunday of that weekend they taught eight lessons in total ranging from Lindy Hop, Balboa, and Solo Jazz. While I found a lot of the material in the intermediate track challenging at times, I had a blast. However whole experience was a lot to take in for my first time on the swing dance travel circuit. I danced to my first live band, The Boilermaker Jazz Band which was more up-tempo then what I was used to but a ton of fun. I came to the realization of how large the community really was with people from all over Pennsylvania, Ohio, and a few other states in attendance. I also had my first housing experience with our lovely and gracious host Brandi Ferrebee, who took great care of us and set a high standard for future hosts/hostesses to match. My foray into Oberlin planted a seed which germinated the next few months. When I returned home in California I started dancing there and becoming into their culture which is a completely different animal from most of the East coast. The following year I became an officer of the Penn State swing dance club and started changing the format of the club using things I learned from my travels that worked for other scenes. 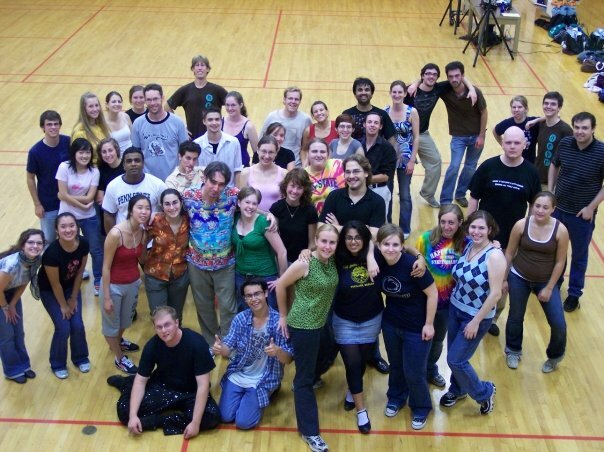 Its awkward reminiscing about the Penn State Swing Dance club these days, it has changed a lot since when I joined. 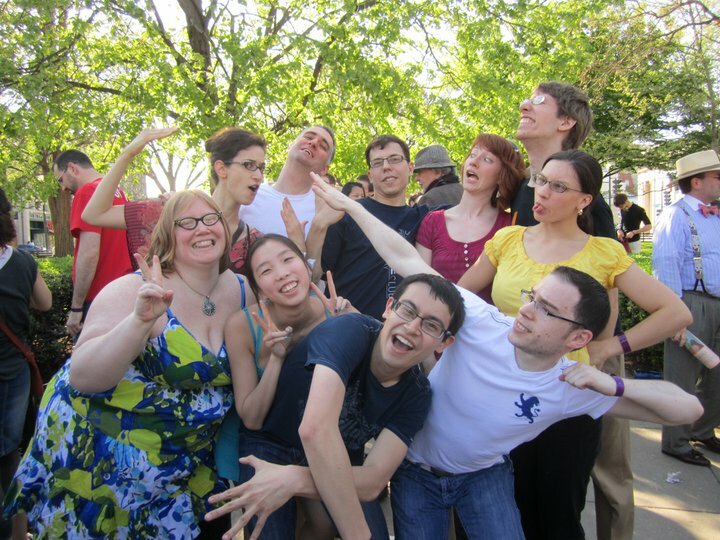 The college now pays for us to travel to three swing dance events a year, in result more of our members are involved in the traveling circuit and the State College scene is less of a bubble. The club has a higher level of dancing, but those who can hold their own in a drinking game has dwindled considerably. These days I have friends ranging from California to Australia in the scene. I’ve danced all over the United States and have danced as far away as Paris, France. I teach classes Pennsylvania and have had people refer to me as their dance instructor. If you told the high school version of myself this is what learning partner dance would lead to, I probably would have laughed you off. This entry was posted on September 11, 2011 by Apache. It was filed under Dance, Lindy Hop . I wish my story was that interesting. Though, I guess, being a reckless princess after a bad dating experience and being somehow ~driven~ to dancing might be interesting. I don’t know. I still haven’t figured out why I started dancing. I am jealous of your community experience during college; I was kinda forced to “grow up” and hang with the older people (not that they’re not cool) because the college kids in LA/OC aren’t the onls doing Lindy Hop.